Gidget is originally from Tasmania and proud of it. It is a beautiful place. I have been here since I was 25 years old. Worked at Ford for a while. Started teaching swimming and had my two children. When my youngest went to school I went to back teaching as a swim teacher. Teach a lot of young kids 6mths to 5 years. I can do school age or adult but choose to focus on the younger children. I am in my soul element teaching swimming to young children. I need to have a lot of patience for teaching young children as everyone is different. You can jump from kids who are confident to those who are not so confident. There are also kids who are scared. From my experience, I can now judge their experiences or ability within the first 20 seconds of seeing them. I find it very rewarding and the biggest reward is to have the scared little ones and building and gain their trust. When they can’t do something and when they thought they couldn’t do it and then over time they can! That what makes me happy as a swim teacher. Is the connection to these young children in a felt sense? I think I usually no matter what the age – I give them space allow them to feel comfortable without me approaching their personal space. I have found it grows from there. Really enjoy the reward it is amazing. The reward of them putting their faces under the water and being so proud of themselves. That is them doing it when they are comfortable doing it. Safety is prime in swimming. We go to the deep pool and some fear it. But after 3 weeks they ask to go over and want to go over. Important to give them the life skills around a swimming pool. Gidget, I could see the joy of your connection in your eyes and there is such passion there as you describe the teaching. The concept of the Podcast – I think just getting in touch with what makes you happy. Happiness if you doing what you love. It makes your heart happy and it radiates from the inside out. To be able to have room to do that and be comfortable enough. I believe we are pushed down and not enabled to grow. It is in the growth where you find yourself. It makes your soul sing and your heart sing – it takes the time to do that. I don’t make the time as I would like to and I don’t want to say I shouldn’t. I had a property on 2 acres out of town and it was a big 30 square house and I found it hard to find the time. In the last 12 months thinking of myself, what I would like and what makes me happy. I use to find time for myself and my heart has been hidden for a while. Scary to start off with. To come out – you hide for a reason and you stay hidden for a reason. To start it feels like a bit unprotected. I think it is coming back to feelings that you will be okay no matter what. When been through a fair bit of crap and shielding your broken heart from further hurt. Difficult to let it down. Since letting walls down that things are opening up – staying hidden opportunities and pleasures don’t open up. You’re not open to it because protecting it. In protecting the opposite (hurts) in the heart we can lose the happiness and good in the heart. It then also like hiding from the happiness. How do you make the time? Doing a course in Western Australian Cert 4 Holistic Counselling Mind, Body, Medicine – I’ve done Reiki years ago. This has just started to open me up. To how it got me thinking about how everything is connected. Mind, body soul, spirit connected how quickly something in your mind can then affect your body. That has helped me sit back a bit. Now I have sold my property in a smaller place and a little bit more time to do these things. What are you finding in the connection to yourself? That I am pretty strong really. So there is a real power in there – self-empowerment. I don’t think it’s digging deep – its stop avoiding!! I am very good at avoiding looking at myself. Not to do better but to look at my stuff. It’s about more of my self-stuff. I think it was deep it’s just not avoiding. I have been avoiding I have been avoiding going there because of the hurt. The hurt needed healing and still does. Did the hurt need healing? Yes, still. It still needs healing. I am a work in progress – there is a fragile part of our heart – Is there a deeper part of our heart or is it a different entity? I think Soul is different from the Heart. The Soul I think is what makes you absolutely sing. But if your heart isn’t opened your soul can’t sing. If keep heart closed like I have for past guilty of it 13 years.– then soul doesn’t sing. You don’t see the beauty as it is. Got to do this, got to do that and be too busy. By doing this you are not living, you’re existing, but not living with joy. As I watch your body and it lifts as you talk about the Soul. What do you experience when you Soul is singing? It’s like you said uplifting it’s like a rise I guess. There is a lot of energy when you talk about it. It’s something people don’t talk about as we are too busy or its taboo. It’s really good you are talking about it. How do you come back to this energy – if you had a daily conduit back to it? You would affect other people’s lives they would sense that energy. I believe knowledge is power and people keep it because loose job and as a result and we don’t grow. If we are not open to that, why not share that knowledge. If your energy is up and if they are having a bad day and my energy might just flick a switch for them. When it flicks the switch for you – it’s there for you. It’s hard to articulate and it’s hard to put words to it. It’s like the connection to it maybe it’s beyond words. It’s more of a feeling. How do you know the feeling is there? 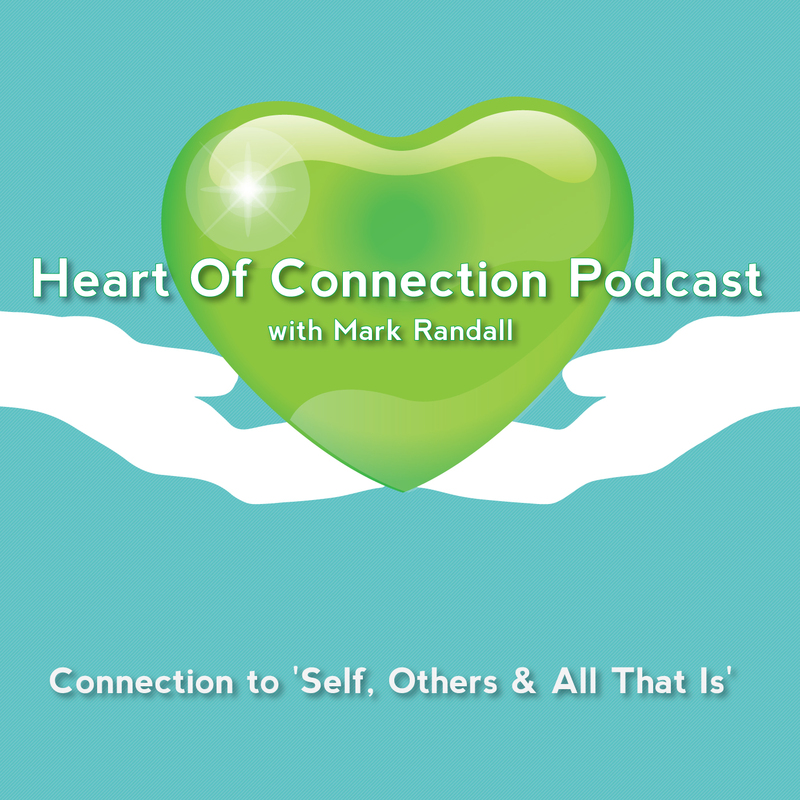 What brings your awareness to it…..the connection……if there is not that connection between my head and heart then not going to be aware. Just knowing that connection is there its self-empowerment. When you have that connection what happens to your mind and the thinking part of yourself? I think maybe it’s awareness that you can actually, you can change that you have the power to change that connection rise it higher or make it lower. What happens to you? It’s like a sense of peace and trust, that everything does work out and everything will work out and you are supported in yourself. Sometimes we look at others to fix our problems instead of coming in to look at our problems. The constant fight between head and heart is like Jekyll and Hyde sometimes. When your Soul is singing (a beautiful metaphor) what happens to the fight between head and heart? There is no fight – Its pure happiness. My body radiates in that. What space!! I know. Is that like self-love or is it beyond that terminology…? I think It’s a love for – even if you don’t know the person, it’s a love for the person they are so happy in what they are doing something that makes them extremely happy!! Do they vibrate it and I resonate – maybe unknowingly. I just visually I think is that is so awesome in our busy world. Kids are the best at it. Kids are our teachers they are good for it. They got no worries in the world, carefree and we put our crap on them…..When you observe it and does the connection see it in others and there’s a resonance back? Is that like a connection to a spirit of the other person or is it more universal? I think it could be all of what you just said. We are all connected. The trees, the rivers, the oceans, to other people, to animals……I think just got to be open to that – all of that, at some level. How do you at that level do you connect? I had so much pressure and so much to do that I didn’t even look there – just focused on the end – on that – at the end of the road I had to get. Now have the time can you connect? A little bit not as much as I want to brought another house closer and now still busy leaving early in the morning. Got a smaller place as far as time, at the moment, the travel is the same I just don’t have such a big house. Time and the business of every day. Does it prevent you from accessing your singing Soul? I don’t think it would stop me accessing it, I need to be mindful and present to it. In driving time if we include mindfulness that would make us stop. In the busy life, we are always looking ahead e.g., with time management and being organized being present to do all that sought of stuff. I look too far forward ahead – my mind goes onto what I needed to do as soon as I get home. Are you reminding yourself – Do you allow your Soul to sing? Are you in it now? Yes, I am. It’s not stressful. As children, we are not taught to do it being mindful. Children absorb actions. Watching parents work, children then see it as normal. We were not taught to slow or connect to our heart. Some kids have 5 or 6 sports on a weekend. We all parent differently – what would you like to pass onto the next generation? For my children, it’s just to stop every now and again. Kids now have mobile phones, even children are not present now. They’re not in this moment they are more in the game. Be more in the present moment. To understand that everything is connected. If you think of a stressful moment, my body reacts within seconds and if not mindful of that how long has the body been in hunched in protective mode. Look after yourself – go give yourself a massage 0 we all over work ourselves…..with modern technology we are becoming more disconnected. Take care of each other. Society that doesn’t care at times about others. Talking is easy and putting it into practice if you don’t have people who are mindful then it is hard to stay mindful. You matter!!! Thank you Gidget wonderful conversation.